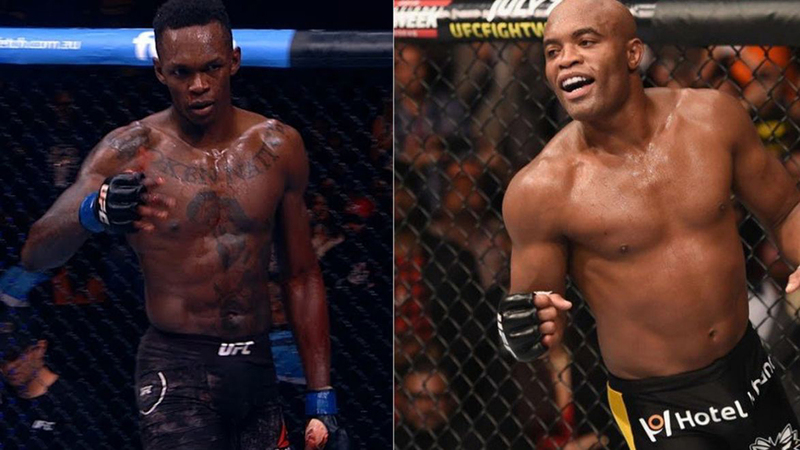 Israel Adesanya Would Like To Face Anderson Silva In A Stand-Up War! The UFC finally has some good news – Anderson Silva has reached the deal with USADA and he is eligible to fight in November. His next rival could be Israel Adesanya, the best Nigerian-born MMA fighter ever, known for tremendous striking. If this happens, we might easily have the showdown of two ultimate strikers! Since Paulo Costa ran Uriah Hall over at UFC 226 pay-per-view, the matchmakers were calling for a showdown between him and Israel Adesanya, who defeated Brad Tavares via unanimous decision at the main event of The Ultimate Fighter 27 Finale. But Paulo Costa challenged Chris Weidman, so for now, The Spider remains a very possible option. Israel Adesanya definitively likes the way the situation develops. Adesanya definitively has a lot of respect for The Spider. He even calls him a lean aerodynamic man who was rocking muscled beefcakes, despite the fact he is 43 years old and he won Derek Brunson at UFC 208 via controversial split decision. Let’s just hope Anderson Silva doesn’t dream too much about the fight versus French-Canadian superstar Georges St-Pierre. Israel Adesanya has an impressive MMA score of 14-0 and he would be one hell of a rival. On the other side, Anderson Silva (34-8, 1 NC MMA) comes with only one victory in the last few years. Ok, he won Nick Diaz at UFC 183 but the fight was overturned to no contest. His last awesome victory came in 2012 when he won Stephen Bonnar via spectacular TKO at UFC 153. It would be a great matchup, don’t you think? Both fighters are excellent in the stand-up, so fists, knees, and long-range kicks would fly all the time. Do you believe this match could be similar to a tremendous stand-up showdown between Wanderlei Silva and Cung Le at UFC 139?